Casa Gentili and Casa Rosa are in beautiful Tuscan surroundings. Please look at the information below to find out more. Famous as the birthplace of the renowned artist, Michelangelo, Caprese provides stunning views of the surrounding hills. 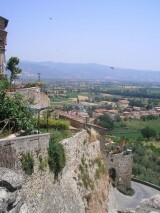 Perched on top of the village is the home of Michelangelo. Exhibitions tell the story of his life and a gallery displays sculptures which bring the artisitic tradition of the area up to the present day. Local restaurants enjoy a reputation for superb regional foods and wines. Sitting on top of a hill looking over the valley of the river Tiber, Anghiari is listed in the ten most beautiful towns of Italy. Famous for being the site of the battle on 29th June 1440, which confirmed the power of the Florentine forces in this area. Each year there is a celebration in the town to commemorate the victory. 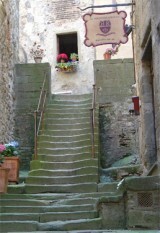 Anghiari has fascinating winding streets and a wide choice of specialist shops and great restaurants. Every turn of each corner provides another subject for a photograph. The sanctuary of La Verna, situated in a national park is only 15 minutes drive from the house. Famed as the place where St Francis received his stigmata in the 14th C, this is still a working monastery. Enjoy the peace and tranquility and reflect in its serene surroundings. For those who wish to get off the beaten track, there is a pleasant network of footpaths around La Verna. Sansepolcro is the nearest town and the birthplace of the great artist Piero della Francesca, whose works (such as The Resurrection, seen to left) can be seen in the town's museum. With markets on Tuesdays and Saturdays, it is a great place to buy local produce and gifts. Within the medieval town walls you will find cafes, restaurants and bars to suit all tastes. There is plenty of parking and a range of supermarkets. The town is also the headquarters of Buitoni pasta. Caprese Michelangelo is ideal for those who enjoy blowing away the cobwebs with a good walk. There are well marked routes winding their way through the oak, chestnut and birch woodlands. Whether you fancy a gentle after dinner stroll or undertake a full day's hike - it's on our doorstep, just put your pack on your back and walk. 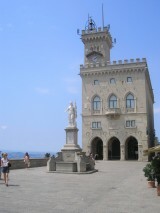 The tiny Republic of San Marino is a wonderful day out. The drive over the Appennine mountains is rewarded with the quaint streets and tax free shopping of this hilltop, fortified town. Siena, like many other Tuscan hill towns, was first settled in the time of the Etruscans (c. 900 BC to 400 BC) when it was inhabited by a tribe called the Saina. The Etruscans were an advanced people who changed the face of central Italy through their use of irrigation to reclaim previously unfarmable land, and their custom of building their settlements in heavily armoured hill-forts. It has been argued that their Pagan society which practiced matrilineal inheritance, and was devoted to their goddesses was one of the reasons why Roman Goddesses such as Diana and, with the arrival of Christianity, the Virgin Mary came to be of such importance to the people of the Italian peninsula. If this is true, it suggests that the Cult of the Virgin which is omnipresent in the fabric of Siena's ancient stones has an origin which is older still. From 1865 to 1870 the city was also the capital of the Kingdom of Italy. Florence lies on the Arno River and has a population of around 400,000 people, plus a suburban population in excess of 200,000 persons. The greater area has some 956,000 people. A centre of medieval European trade and finance, the city is often considered the birthplace of the Italian Renaissance and was long ruled by the Medici family. Florence is also famous for its fine art and architecture. 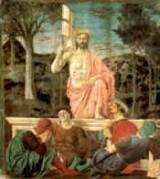 It is said that, of the 1,000 most important European artists of the second millennium, 350 lived or worked in Florence. In fact, the city has also been called the Athens of the Middle Ages. The historic Centre of Florence was declared a World Heritage Site by the UNESCO in 1982. If you fancy something a bit different during your holiday, why not try Mirabilandia, near Ravenna. With roller coasters, log flume, water park, live shows and Katun, there's something for everybody who is young at heart. The park is open from April - October and is about 1.5hr drive away. One advantage is that your entry ticket allows you free admission on the following day. Looking to buy a holiday home?